Chris Stodola and Rick Braman are Up The Crick. Sometimes literally, and oftentimes figuratively, this piano/guitar duo features close harmonies and vocals on a wide variety of vintage music from throughout the past century. Quirky, humourous, nostalgic; from 1915 through to modern day, this is a set list like absolutely no other! The duo serves up a little bit of everything: from Mills Brothers to Dan Hicks & the Hot Licks; from songwriters Fred Eaglesmith to Frank Loesser; from modern Bob Seger pop covers to Roy Rogers-Dale Evans novelties. And added to the mix: a number of original tunes. Audiences are engaged with stories about the music, with encouragement to sing various vocal parts to add to the sound. An underlying theme to each show is the International flavour (or should it be “flavor”…) of this team. Rick was born in Seattle, Washington, USA while Chris was born in Osoyoos, BC, Canada. US-Canada differences; and sometimes cultural similarities, are often the target in their pop-blues-jazz-nostalgia-novelty presentation. 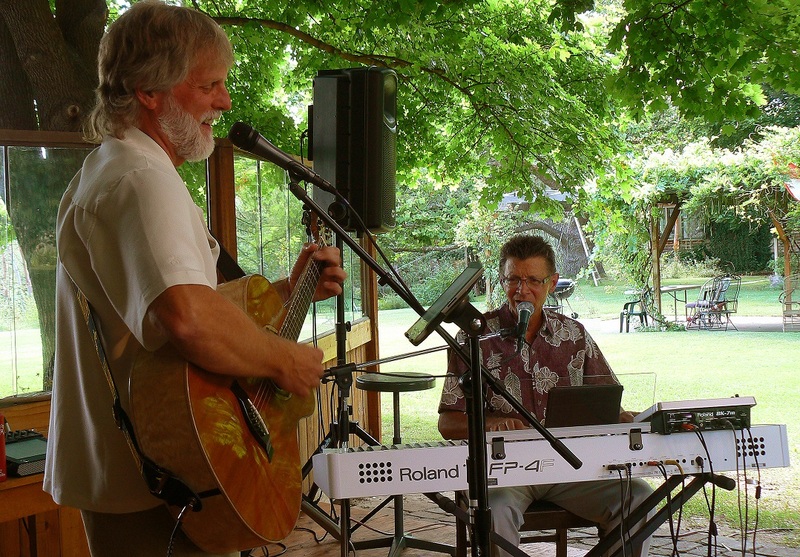 Chris and Rick (hence the name “Crick”), met as members of Osoyoos’ International Choir, singing side by side in the Bass Section and discovering a mutual love of music, and harmonies in particular. It wasn’t long before plans for a performing duo took shape. Up The Crick invites everyone to this upcoming “performance” on Thursday Aug. 27 from 6:30 p.m. at the Oliver Community Stage. Yes, this is a live concert, but more importantly it is a “sharing”….sharing a love of music and fun.